E-Mail users can send an SMS or MMS message by sending an e-mail message to a special e-mail address and specifying the recipient phone number at the start of the subject line. Or, instead of a phone number, an address book name or distribution list name can be specified in the subject line, making it easier to send messages. 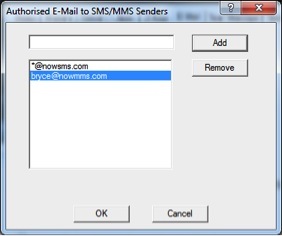 If the recipient replies back with an SMS or MMS, NowSMS can deliver the reply back to the original e-mail sender. This quick start guide will explain how to quickly setup NowSMS Lite for this type of configuration. For improved readability, a PDF version of this document is available at http://www.nowsms.com/download/nowsmslite-email-gateway-quickstart.pdf. 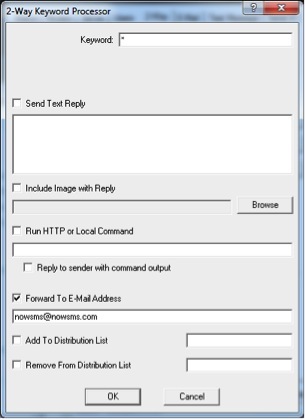 NowSMS Lite must be installed and able to send SMS and/or MMS Messages. 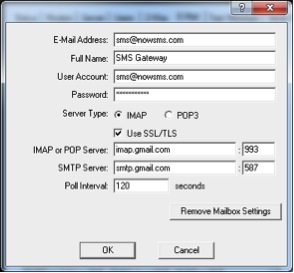 A POP3 or IMAP4 e-mail account must be created exclusively for use by NowSMS. NowSMS will automatically delete all e-mail messages from the mailbox as they are processed, so this account should be used only for NowSMS. 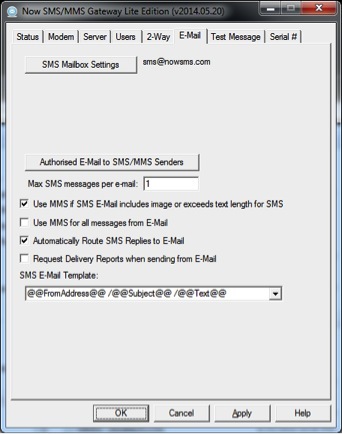 On the “E-Mail” page of the NowSMS Lite configuration, press the “SMS Mailbox Settings” button. If the SMS message is not received, it may be necessary to enable the MMSCDBUG.LOG for further troubleshooting. If further assistance is required, please open a support thread on our technical support forum at http://www.nowsms.com/messages. 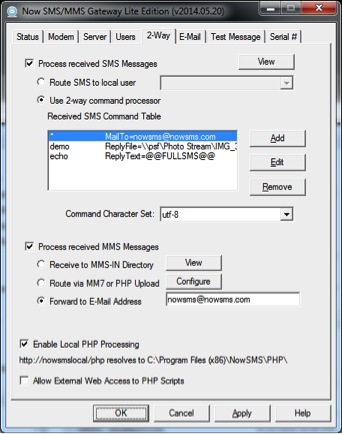 Thus far, we have focused on E-Mail to SMS & MMS with support for routing mobile originated replies. It is also possible to forward any received SMS or MMS message to an e-mail address. This is done on the 2-Way configuration page. 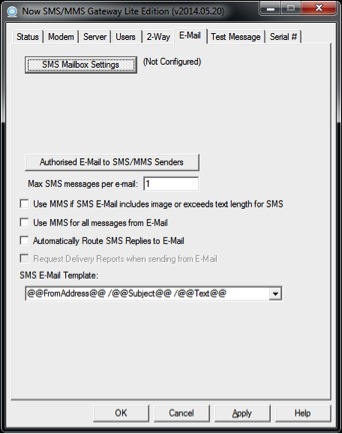 Back on the 2-way configuration screen, it is necessary to also apply settings to forward received MMS messages to e-mail. “Process received MMS Messages” should be enabled, and a “Forward to E-Mail Address” should be defined.